Highland Creek Builders maintains all relevant training certificates and WSIB insurance and are proud members of IHSA Ontario. We pride ourselves our strict work ethics, attention to current safety standards and providing our customers with a safe, insured jobsite. Serving Haliburton, Bancroft and surrounding areas. Highland Creek Builders specializes in general contracting and provides a wide range of construction services. 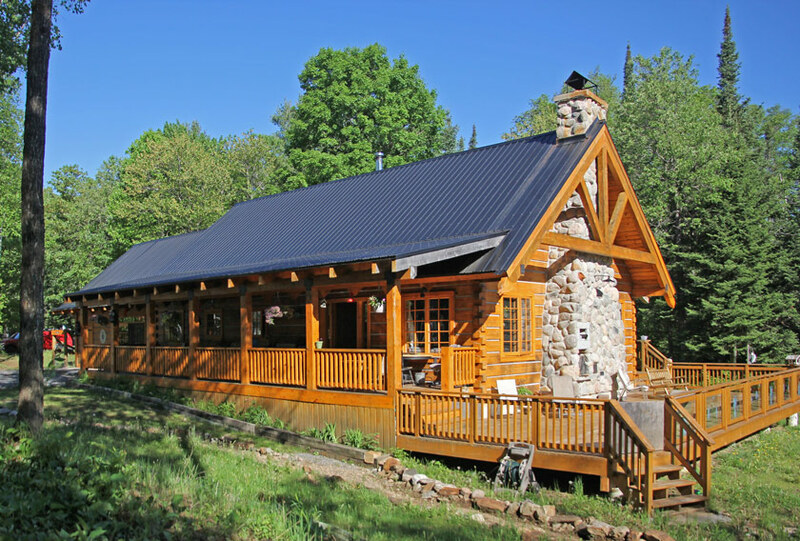 From the building of custom homes, cottages (log or traditionally framed) and garages, to full or partial renovations, decks and fireplaces, mini-ex services like landscaping and lot preparation, to hand crafted cabinetry, furniture and chainsaw carvings, Wayne Quibell and Highland Creek Builders will provide you with outstanding service and gaurantee that you are completely satisfied.